Yes, it is possible to get a good core workout without getting down on the floor! 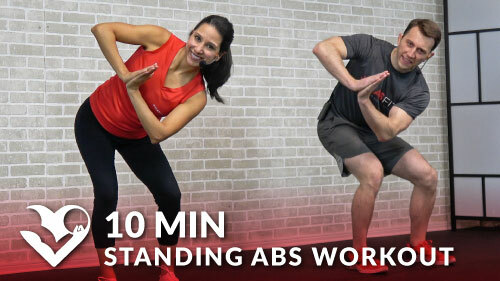 Try this 15 minute standing abs workout to strengthen and define your abs. There is no equipment required for this routine, but if you’d like to increase the intensity then grab a pair of dumbbells or water bottles.